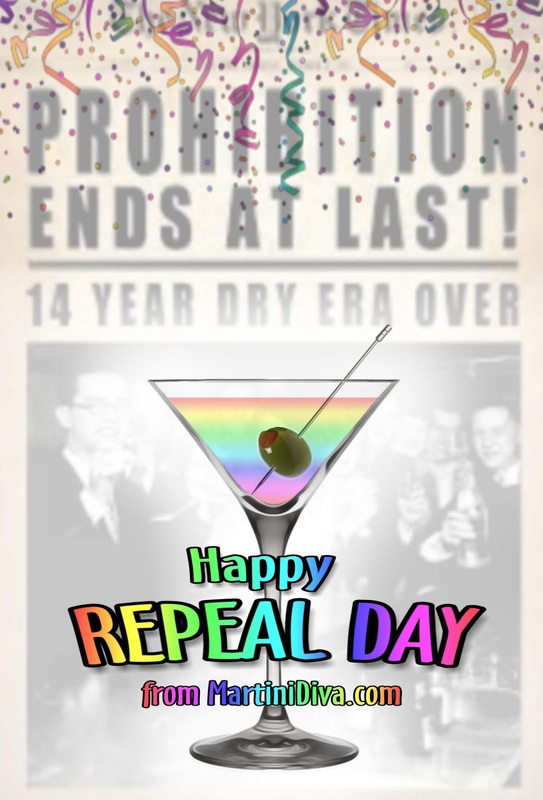 Every 5th of December the entire cocktail world celebrates the end of Prohibition and the 21st Amendment to the Constitution which repealed the 18th Amendment and the Volstead Act. 1919 to 1933 was a dark era in the history of drinking in America, but it was also a time that gave meteoric rise to the modern day cocktail. Why? Because, despite the efforts of the temperance movement to eradicate booze from America's landscape, Prohibition instead fueled in Americans a love for cocktails and gave drinking alcohol glamour and sexiness by making it taboo. Speakeasies sprang up all over the major cities in the United States serving "bathtub gin", bootleg whiskey and smuggled rums, most of which were pretty low quality and bad tasting, if not outright dangerous to drink. To make the low quality spirits palatable to their scofflaw patrons, bartenders would mix them with all nature of fruit juice, mixers and bitters to hide the bad taste of the booze. Their success is evident in the number for bespoke drinks that survived the dark ages of alcohol to live on in bars and cocktail parties right up to today's revival of vintage libations. If you've never tried these cocktails, today is the day to give them some happy hour honor. Below you will find the classic recipes, as well as some some of my signature adaptations, for some of the survivors of those 13 years of a hoped for, but not accomplished, dry America. 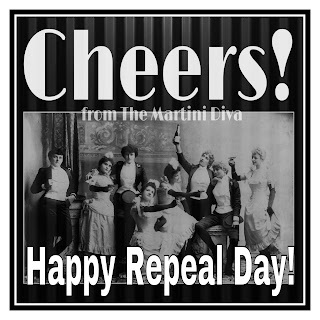 Happy Repeal Day and may you Party Like It's 1933 Again! The RYE RACKETEER inspired by the SCOFFLAW The SIDECAR The WARD 8 According to Robert Vermiere this is a cocktail named after Boston, a city divided into 8 wards. 1-1/2 Oz. Rye Whiskey 3/4 Oz. Fresh Lemon Juice 3/4 Oz. Fresh Orange Juice 1/4 Oz. Grenadine Shake ingredients with ice and strain into a chilled glass. Add an ice cube and a splash of sparkling water. The WHITE LADY When Harry Craddock of The Savoy took a cocktail named the Delilah and replaced the creme de menthe with orange liqueur the White Lady was born.